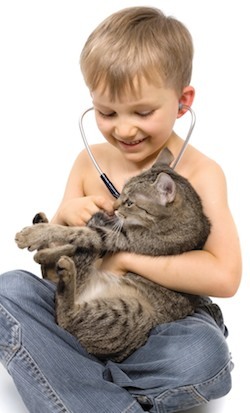 As any pet owner is well aware, animals can be extremely difficult to treat with medications. Cats are notorious for refusing to swallow pills, and usually will eat right around one disguised in food. Dosages can be very tricky with dogs – a dose of medication that works for an 80-pound Golden Retriever may be far too much for a six-pound Yorkie to handle. Large and exotic pets pose many unique medication challenges. A compounding pharmacist is equipped to help them all! 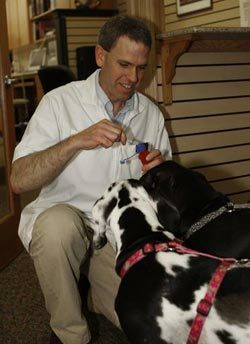 The pet who refuses to take medication because of the taste is a prime opportunity for compounding. Cats don’t like pills, but they do like tuna. Dogs don’t appreciate a traditional solution of medication being squirted into their mouth, but they’ll take it gladly when it’s flavored with meat or part of a tasty biscuit or treat. Birds cannot take large volumes of liquid medication, but they will accept a small dose of a tasty, fruit-flavored, concentrated solution. 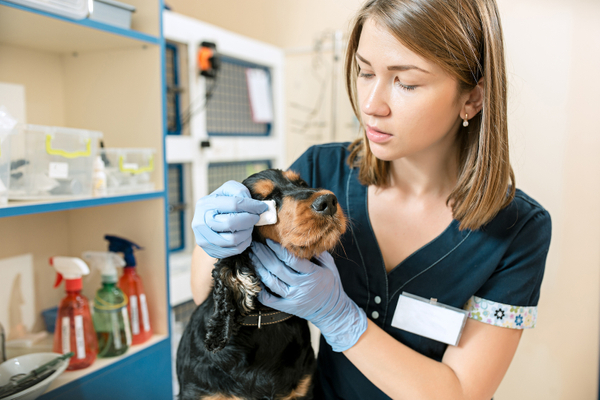 By working closely with your veterinarian, a compounding pharmacist can prepare medicines in easy-to-give flavored dosage forms that animals happily devour, whether your pet is a cat, dog, bird, ferret, or snake.